The Houston Independent School District Board of Education announced it has mutually agreed to consider the reinstatement of Dr. Grenita Lathan as interim superintendent of HISD, the largest school district in Texas. During a press conference at the Hattie Mae White Educational Support Center, trustees announced the consideration of the rescinding of Thursday night’s vote to appoint Dr. Abelardo Saavedra to the position. The Board will meet on Thursday, Oct. 18, to consider the reinstatement of Dr. Lathan. The full meeting agenda can be found here. This entry was posted in Board of Education, Staff updates on October 16, 2018 by HISD Communications. Darcele Lofton has been selected as the new principal of Bellfort Early Childhood Center. Lofton has been in education for over 11 years and has served in HISD as an hourly lecturer, teacher, and in various leadership roles. As a part of the leadership team at Tinsley Elementary School, where she served as a Math and Science specialist, she helped move the school from “Improvement Required” to a “Met Standard” rating. Most recently she served as a Title I school grants administrator, working with 80-plus elementary campuses. 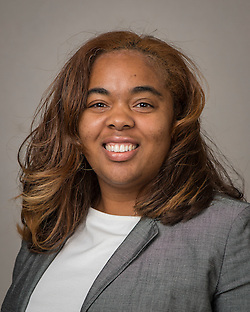 Lofton earned her bachelor’s degree from Texas State University and her master’s degree in Education Administration from Houston Baptist University. This entry was posted in Staff updates and tagged Bellfort ECC on September 10, 2018 by HISD Communications. Karen Harris has been selected as the new principal of Cunningham Elementary School. Harris has served HISD for the past 11 years. She began her career as a teacher with Beaumont ISD at Regina-Howell Elementary School for 6 years. She continued her career at Bonham Elementary School in HISD as a first-, third-, and fifth-grade ESL teacher for 6 years. At Bell Elementary School, she served as a teacher specialist, where she spearheaded and established a K-5 campus-wide system for guided reading, prior to the development of Literacy by 3. Harris served in various roles over the past 18 years, including teacher specialist, Baylor Master Teacher, University of Houston/HISD mentor teacher, and curriculum writer for both HISD and Beaumont ISD. At Milne Elementary School, she served as the interim principal and assistant principal. Harris most recently served at the assistant principal at Cunningham. She earned her Bachelor of Science Degree in Interdisciplinary Studies and her Master of Education Degree in Administration from Lamar University. This entry was posted in Staff updates and tagged Cunningham ES on August 21, 2018 by HISD Communications. Santrice Jones has been selected as the new principal for Neff Early Childhood Center. Jones has served HISD for the past eight years, beginning her career as a classroom teacher at Wesley Elementary School and also at Fonwood Early Childhood Center. More recently, she has served as teacher specialist and assistant principal at Neff Early Childhood Center. Jones earned her Bachelor of Arts in Speech Communication from the University of Georgia and her Master of Education in Educational Leadership from Texas A&M University. This entry was posted in Staff updates and tagged Neff ECC on August 15, 2018 by HISD Communications. Karina Lopez has been selected as the new principal of Edison Middle School. Lopez has been with HISD since 2010. She began her career at Revere Middle School as a seventh-grade math teacher, then became math department chairperson and a campus instructional coach. While at Revere, she received the Teacher of the Year award and the 2012 Elizabeth Brand Teacher Excellence Award. She has also served as magnet coordinator and assistant principal at Hartman Middle School. She earned her Bachelor of Arts in Communications from the University of Houston and her Master of Education in Educational Leadership and Policy Studies from the University of Texas at Arlington. This entry was posted in Staff updates and tagged Edison MS on August 15, 2018 by HISD Communications. Michael Niggli has been selected as the new principal of Waltrip High School. He most recently served as associate principal for Sam Houston Math, Science and Technology Center. With 21 years in HISD, Niggli’s experience includes English teacher, debate coach, and basketball coach at HISD’s Austin High School and Heights High School. Niggli earned his Bachelor of Arts from San Francisco State University and his Master of Educational Administration from Grand Canyon University. This entry was posted in Staff updates and tagged Waltrip HS on August 15, 2018 by HISD Communications. Michelle Shoulders has been selected as the new principal of Pin Oak Middle School. Shoulders has served HISD for 14 years and has 28 years of experience in education in Houston, Fort Worth, and the Denver area. Her teaching experience spans elementary, middle, and high school in math and theatre. Most recently, Michelle served at Bellaire High School as both school improvement facilitator and assistant principal. She has actively supported the professional learning communities (PLC) on campus while supervising the English and ESL departments. For the past three years, Michelle has also served as an adjunct professor at the University of Houston in the Teacher Preparation Program. Michelle has a bachelor’s degree in Education from Abilene Christian University and a master’s degree in Educational Leadership from the University of Phoenix. This entry was posted in Staff updates and tagged Pin Oak MS on August 15, 2018 by HISD Communications. Opal Harrison has been selected as the new principal of Deady Middle School. Harrison began her teaching career in HISD in 2005 as a science teacher at Jones High School. Harrison has served as an administrator at Milby High School for the past six years, most recently as the dean of instruction. While at Milby, Harrison was named the HISD Secondary Assistant Principal of the Year. She earned her Bachelor of Science in Physics from Xavier University of Louisiana and Master of Science in Microelectronics-Photonics from the University of Arkansas. Harrison is currently pursuing a Doctorate of Education in Leadership and Learning in Organizations at Vanderbilt University. This entry was posted in Staff updates and tagged Deady MS on August 15, 2018 by HISD Communications. Alicia Puente-Sanchez has been selected as the new principal of Durkee Elementary School. Puente-Sanchez started her career 18 years ago as a bilingual teacher at Roosevelt Elementary School. She has served as a magnet coordinator at The Rusk School K-8 and teacher interventionist at Barrick Elementary School. She went on to be an assistant principal at McReynolds Middle School, Wisdom High School, and Marshall Middle School. Most recently, Puente-Sanchez served as a program manager with the Leadership Development department. 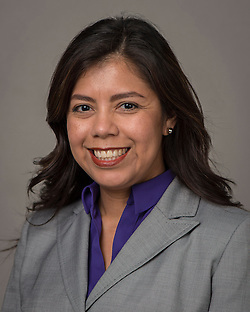 Puente-Sanchez holds a Bachelor of Arts in Interdisciplinary Studies from the University of Houston Downtown and Master of Education in Educational Leadership from Sam Houston State University. This entry was posted in Staff updates and tagged Durkee ES on August 15, 2018 by HISD Communications. 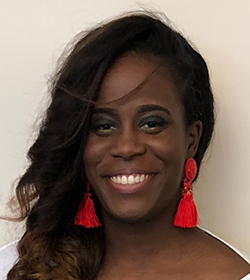 Mikia J. Barnes has been selected as the new principal of Osborne Elementary School. Barnes began her 15-year career as an elementary teacher in Aldine ISD. She has served as a team leader, middle school teacher, instructional coach, and assistant principal. For the past four years, she was as an administrator in Spring ISD, where she most recently served as associate principal of Bailey Middle School. 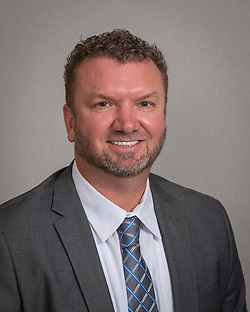 Barnes holds a Doctorate of Educational Leadership from Sam Houston State University, a Master of Education from Lamar University, and a Bachelor of Science from Alcorn State University. This entry was posted in Staff updates and tagged Osborne ES on August 15, 2018 by HISD Communications.